The Mathletes begin their season by coming in 2nd place at their first meet. 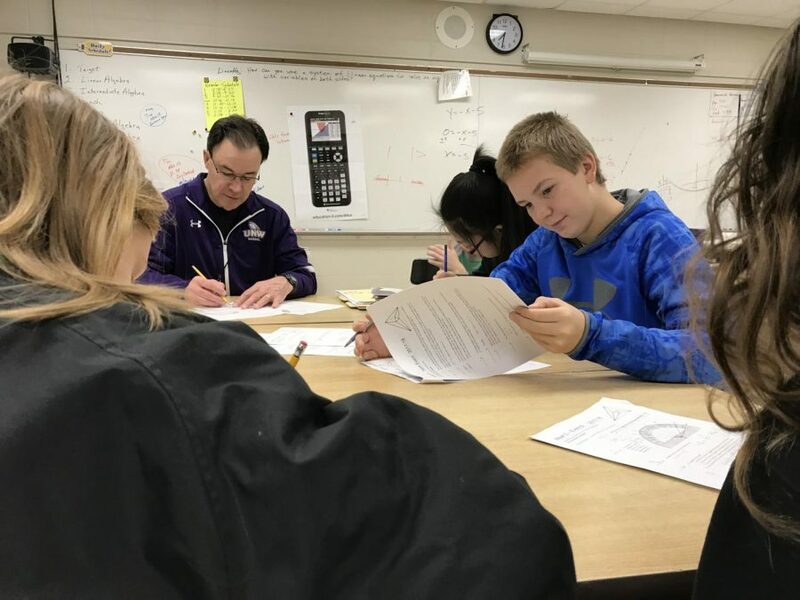 Junior High Math League meets are at Kenyon Wanamingo High School. They had their first meet on October 8, 2018. It takes them 30 minutes to get there. They left the school at 3:15 and get home around 6:30. They have the bus all to themselves. The teams got there and went to a meeting room, where then we got a cookie and a cup of lemonade. After everyone was here, the teams go to a room and began the Event A assignment. They each have 5 minutes to do each event, soon they finished and waited for the scores. “The first Junior High Math League meet went very well. Our roster contained only 6th and 7th graders in a league that allows 8th graders. Our mathletes performed very well to finish in 2nd place. We had some strong individual scores, but we were especially strong in the team event.” said Bucky. After the meet, we got on the bus. We went to a quick stop to Subway and ate our sub on the bus. The members of the math league team said thank you to Saffron Emerson who been a great help in Math League. Saffron comes to the meets and she is also like our secondary coach. Just last week she handed out the packet that they could do and even willing to help the Math League Participant after school on Monday. “She is a good helper because she printed out packets for us.” Grace Miller said. “We would certainly like to have more participants. I would love to have 12 to 15 students involved.” Bucky said. They hope to keep having a winning streak.